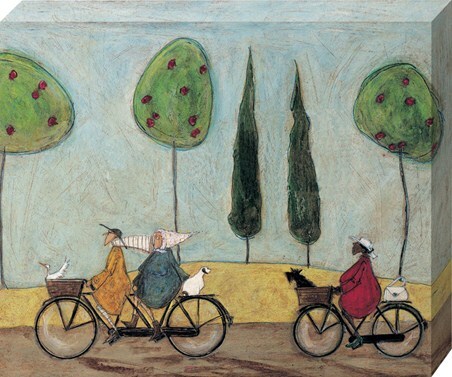 Art Canvas: Sam Toft is a British illustrator who tried her hand at many things before discovering her talent for art. 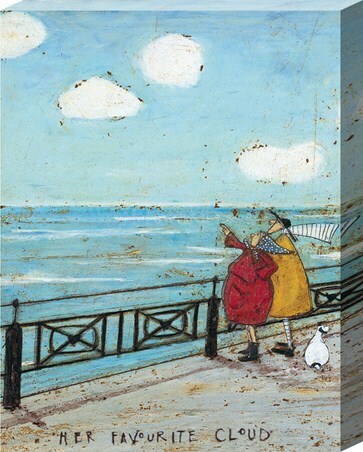 ‘Her Favourite Cloud’ is a truly charming piece which shows another day in the life of Mr Ernst Hemingway Mustard and his wife Violet as they take a stroll along the promenade. 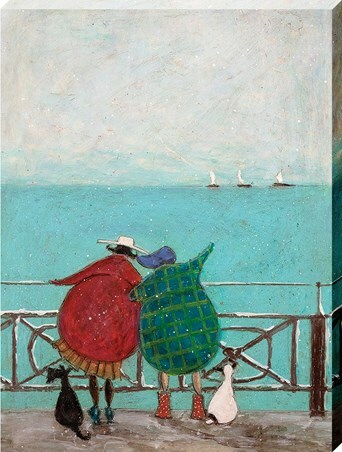 With their plump dog Doris sitting patiently behind the couple, Violet points up at her favourite cloud in the sky as her head scarf blows gently behind her. 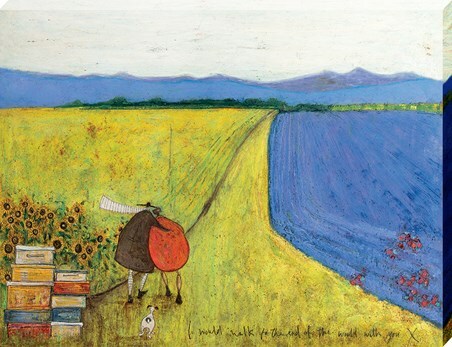 This wonderful piece will make a great addition to your wall whether it is part of your Toft collection or as a pretty centre piece. 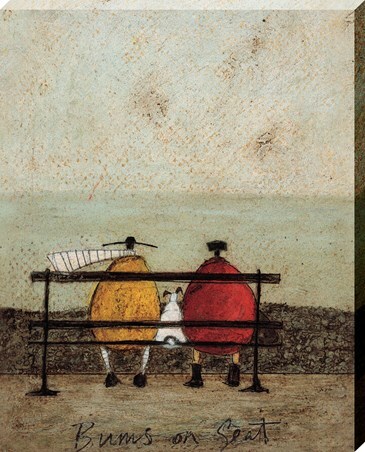 High quality, framed Her Favourite Cloud, Sam Toft canvas print with a bespoke frame by our custom framing service.